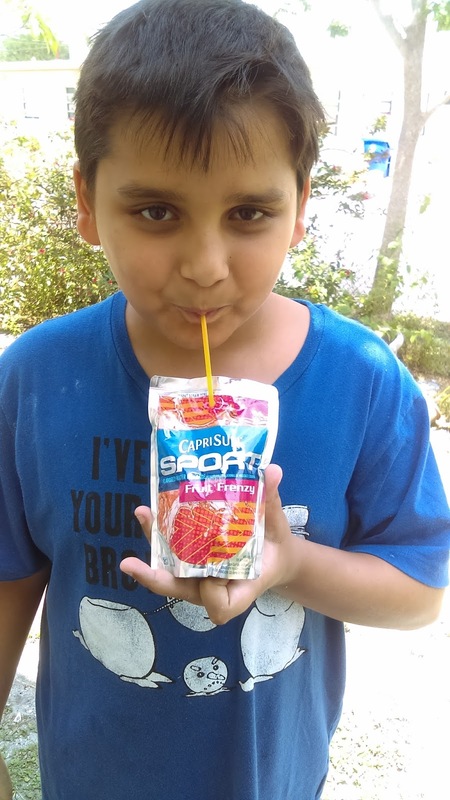 7 Kids and Us: Capri Sun Sport For Your Sporty Kids! 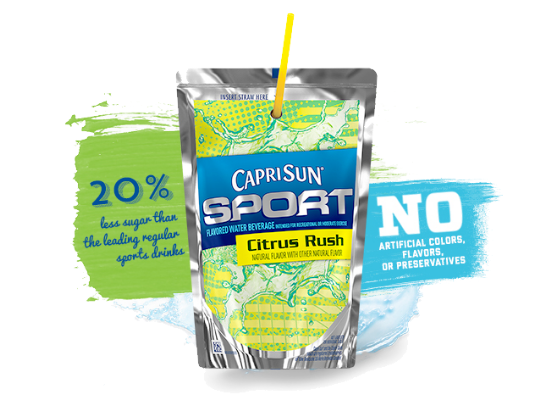 My kids don't play sports, but that's ok, they can still drink Capri Sun Sport. I love that it has no artificial colors, flavors or preservatives! 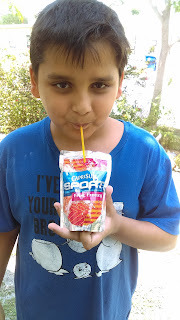 Both of my kids are HUGE fans of the regular Capri Sun, but I don't like them having too much sugar either, so with the Capri Sun Sport, they also get 20% less sugar in each pouch. You can purchase them at most major grocery stores!